While we all love a holiday, alone or with friends and family, there are some tips one must keep in mind regardless of where one travels to. Here are some basics that will ensure you always have a safe and fun filled holiday. No matter what your budget, always keep aside some money for travel insurance. Most of us travel oblivious to the fact that theft or lost baggage can happen to us – till it actually does. So ensuring you have travel insurance on your overseas trip is essential. It helps because this insurance also covers any sudden medical costs you may have to incur as well as accidents or lost or stolen baggage. Check online or with your insurance agent to find the best deal for you. Domestic travel within India these days requires a photo id whether you travel by train or plane. Usually, the PAN card suffices but if you are travelling overseas, your passport – which is the most important document – must be kept safe at all times. It is a form of identification no matter which country you are in and it is also needed to get visas on entry as well as cashing travellers cheques. But there have been instances where people have had their bags stolen and the passport with it. So always have a back-up plan. Make three photocopies of your passport along with the visa documents of the countries you are visiting and leave one behind with a family member. Keep the other two with you in different locations so that even if your travel pouch is stolen, you have a copy in your bag in the hotel. The copy works as a quick reference to obtain a new one from your embassy if you lose the original passport. You should also make copies of your ticket and itinerary along with the details of your travellers cheques and your international driving license and leave them at home before you travel. Vaccinations are mandatory before visiting certain parts of the world like Africa. Check up on the health guidelines of the country you are travelling to and check what its health issues are. Get a check-up done at least two months before you leave. Ensure you have taken all the vaccinations you need as some need more than one dose and some take time to take effect. carry the prescribed medicine, preferably with the preblockedion as some countries are strict about what medicines they allow. Also carry some electrolyte solution sachets in case you need them for a case of dehydration or an upset stomach. expenses and some for your last minute duty free liquor etc. These days, with credit and debit cards working everywhere, you don’t need to carry too much cash. For your foreign exchange, find out what is the limit you are allowed to carry out of India each time. This applies more so for frequent travellers. Buy your foreign exchange from a legal source. Travellers cheques must be bought from the bank. 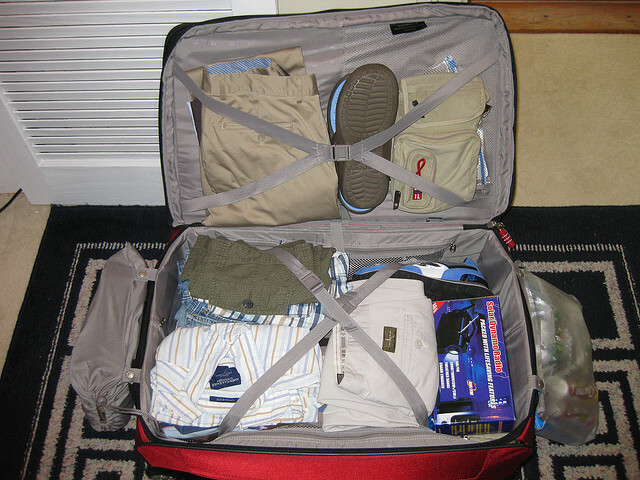 Most airlines specify luggage limits so ensure you pack accordingly. Never leave your luggage unattended and don’t allow anyone [especially if you are in a group] to pack your bags for you. There is a risk that someone might plant drugs in your bag to use you as a courier. Check the weather of the place or places you plan to attend beforehand and pack accordingly. Always carry one formal outfit as you may end up going for a meal to a fancy restaurant or to a musical or opera. And if you are going for a cruise, there is almost always a formal dinner organized for the tourists. clothes are frowned upon, it is best to avoid wearing them in such places. Respect places of worship and follow their rules. 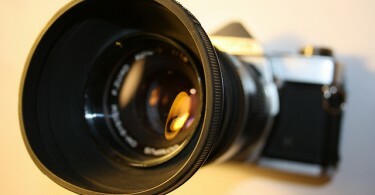 While taking pictures, ensure beforehand that it is okay to do so. Some countries forbid shooting pictures of government buildings, airports and army structures. If you wish to shoot some local persons, be sure to ask their permission before doing so. Avoid public displays of affection in conservative places. The first rule to remember while travelling is to never travel alone through unknown streets in a new place. Even if you go on a solitary holiday, try and stay in crowded areas among people. If you must walk about on your own, be sure to leave your money and passport in the hotel. Carry your cell phone charger at all times and try to carry an alternative as well. For example, some phones can be charged through a USB chord plugged into one’s computer or laptop. Carry only what you need in your wallet – the required debit and credit cards with an international driving license etc. Leave all those special member cards which give you points for shopping at home. miss, even if they get lost or stolen. If you are going on a long flight, make sure you drink enough water. That is the golden rule of travelling. Avoid caffeine or alcohol. The latter two can dehydrate so while the free booze may be tempting, stick to the minimum. halal to gluten free food. If you are travelling with kids, sometimes it makes sense to carry a food bag with you that includes some of their favourite snacks and mixes to be had with milk. Carry high energy foods like protein bars and dry fruits. But take only as much as you need for the trip and not enough to feed an army. When you are in a foreign country and you want to experiment with the local cuisine, always play safe. Check with your hotel about local eateries that have a good reputation. Avoid street food no matter how tempted you are and indulge only if your stomach can take all kinds of flavours and spices without getting upset. Stock your hotel room with plenty of bottled water and snacks so you can eat between your outings or meetings as the case may be. This keeps your costs low and you don’t end up overeating either. Domestic travel doesn’t give rise to this problem but if you are travelling overseas to the US or Australia, jet lag is sure to occur. Basically it occurs when you cross different time zones and your body takes time to adjust. Jet lag can also be more intense based on where you travel to. For example, flying to Sydney will leave you more jet lagged than flying to Europe will. To minimise jet lag, therefore, you can make a few changes in your sleep patterns before your flight. If you are flying west from India, try sleeping later than your usual sleep time. Do the opposite if you are flying east. Eat light for a few days before your flight and, most certainly, avoid a heavy meal before your flight. The long hours of being seated can give you gas and cause bloating. While on a flight, walk about often to prevent cramping and clots being formed in the veins of your feet. If you have a long stopover between flights, see if you can take a shower in the airport lounge. It is a great way to relieve tiredness and get your circulation going again. When you arrive at your destination, try and adjust to the local time for meals and sleeping time though it may be tough initially. Spend time outdoors as exposure to sunlight will help your body to adjust. Till you get used to the local time, sleep with the curtains of your room left open so you will know when it is daylight.